Rock Gym Pro will manage all of your POS and membership transactions, but the actual processing of the credit card or ACH check draft must happen through a 3rd party payment gateway. Here is an overview of the third party payment gateways that have been integrated within the software. Establishing an account with each of these vendors is easy while their fees are competitive with other vendors in the market. 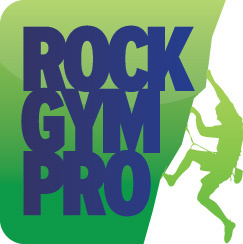 POS and billing credit card transactions can be seamlessly processed in Rock Gym Pro via OpenEdge. All that is required is an OpenEdge account, credit card reader, and receipt printer. When you have an OpenEdge account, your membership billing becomes just a click of a button each month and processing POS transactions is swift and efficient. Apply for an account by filling out their pre-authorization form, calling the specialists at 888-427-2260 (press option 1) or by e-mailing your contact information to startnow@openedgepay.com. With ACH check draft processing from ACH Works your members can supply a voided check or savings account information to have their membership dues automatically deducted from their checking or savings account. At just $0.49/transaction this is usually the least expensive option for billing your members. Apply for an account by downloading this processing application and submitting it electronically as instructed on page 1 of the application. You can also contact ACHWorks at 916-638-8811 (option 1) for specific questions regarding ACH processing. Stripe payment processing is available for online bookings transactions, and for international customers it is also used for integrated membership billing. Apply for an account online here.